eobiont - The Easy Way Campaign. 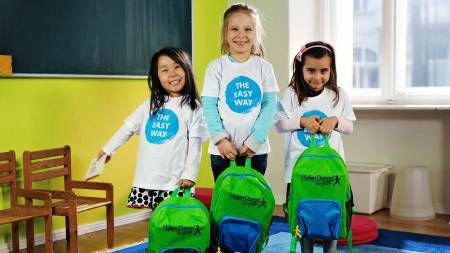 Helen Doron is an international education franchise with over 100,000 students in 33 countries. Their main focus is teaching English as a second language to small children. At the beginning of 2014, they approached eobiont about increasing their German student numbers. 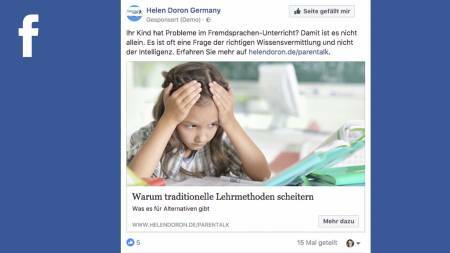 It seems many parents in Germany had developed the false perception that teaching children too early was detrimental and would make them bad parents. Helen Doron had two big things on their side. The first was the truth. Countless scientific research studies demonstrate that young children have a unique capacity for learning language. Given the right exposure, learning English as a second language can come easily to a young child. As kids get older, it becomes a much more difficult task. Secondly, the Helen Doron brand is centered around the best sympathy drivers you could hope for: small children. Why not let them tell the story? Using a multifaceted campaign around the slogan "The Easy Way," we turned the criticism on its head. The parents who were exposing their children to English at a young age with the Helen Doron method weren't pushing their children; they were making life easier for them. 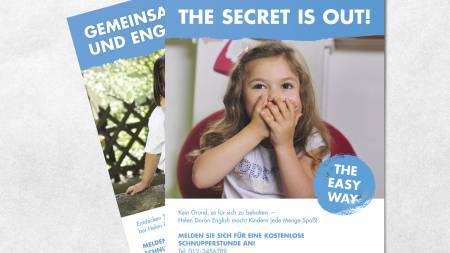 As a central element, we cast two really cute and charismatic kids who speak English and German perfectly. 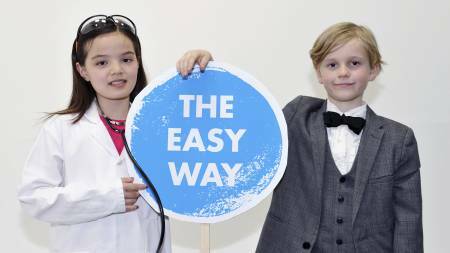 Dressed as scientists, they became spokespersons for our "The Easy Way" campaign. In a short video, professor Hamburger zu Ketchup and Doctor Marmalade von Heidelbeer explain in simple words why it makes sense to have kids start learning English early. To enhance the whimsical childlike nature of the message, the two children are placed in an animated laboratory. This was part of a larger online/social media campaign to generate new student leads. Building on our national efforts, we created strategies and materials for the franchisees to help them bring in new students locally. 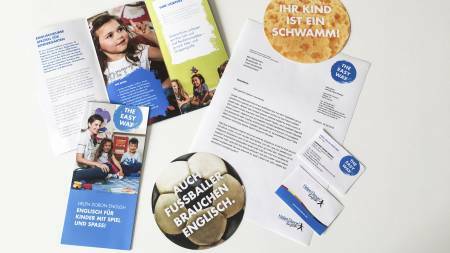 These included printed materials, advertisements, posters, t-shirts, workshops and the "My BFF goes to Helen Doron" referral program. In our first year of the campaign, we not only received rousing support from franchisees and the Helen Doron international staff, we were able to show an increase of 10% more business. The campaign is now being adopted for use in other countries as well.